Even among the experimental weirdness originated at mid-1970s Marvel, Omega the Unknown was a true oddity. It mixed the day to day experiences of twelve year old James-Michael Starling, orphaned when his robot parents were killed in a car crash, and a superhero named Omega, both of whom lived in New York’s notorious Hell’s Kitchen area. It was a series that resonated deeply at the time with future novelist Jonathan Lethem, and in 2007 he and artist Farel Dalrymple revived the long forgotten feature, Lethem collaborating with Karl Rusnak. 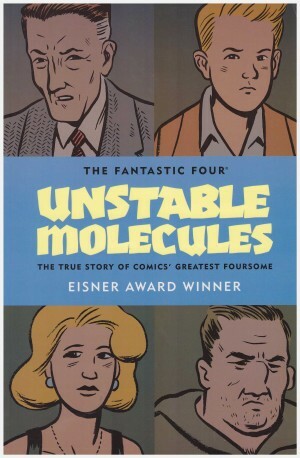 The opening pages and scenario echo the earlier version by Steve Gerber and Mary Skrenes, but from that Lethem forges his own path, with the lead character renamed Titus Alexander Island. 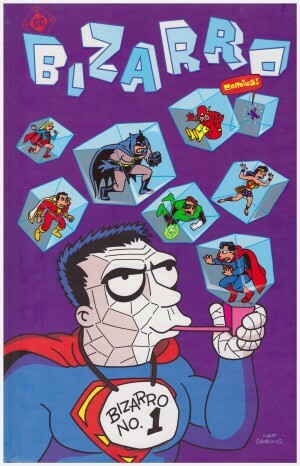 Lethem has a luxury the previous writers didn’t, not having to compromise his vision as a standard superhero comic with all the intrusions that demands. 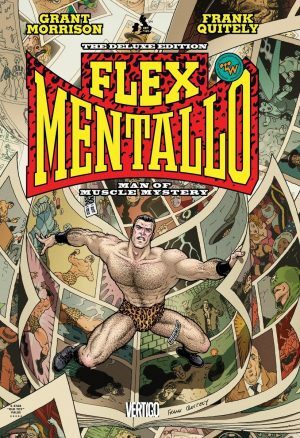 There is no involvement from the wider Marvel universe, and when another superhero is needed the arrogant, egotistical and media conscious Mink is supplied. 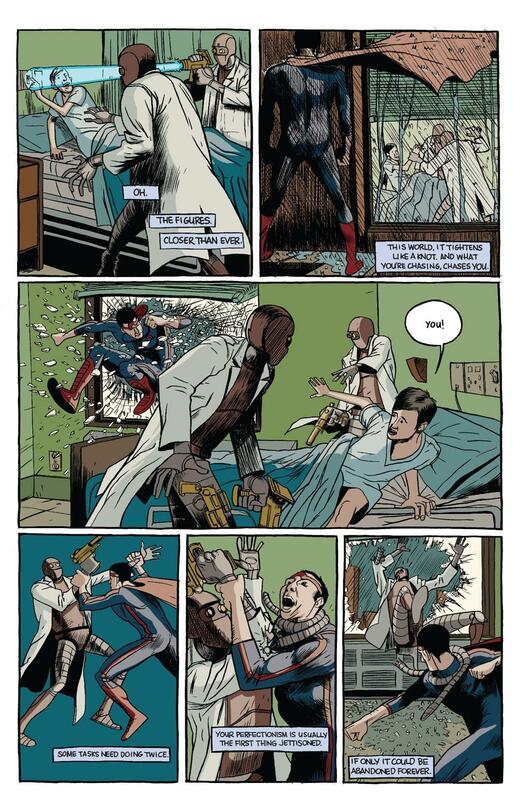 Despite the reservations of a psychiatrist, Alexander goes to live with kindly nurse Edie Fallinger, and as well as manifesting beams from his hands, constantly sees the blue and red costumed superhero, also able to fire beams from his hands. That much was established in the original series, but on that skeleton Lethem and Rusnak hang a creative, and occasionally surreal set of ideas that consistently spark wonder and engagement. They play numerous tricks with the conventions of comics, one being when we discover who the narrator is, someone already seen and brilliantly designed. This isn’t just a writer’s project. Dalrymple’s visual imagination is fantastic. His people are sketchy, defined by the detail he pours into the surroundings. New ways are found to incorporate the title logo into each chapter, and the whole style has a feeling of homemade comics, accentuated as the art changes toward the end. This isn’t just via contributions from Paul Hornschemeier and Gary Panter, because Dalrymple becomes increasingly fragmented, using different styles for different characters, some of it frenetically paced. Letham and Rusnak don’t rest on their laurels either as they continue to pour ideas into what’s an already an astonishingly ambitious undertaking. The original Omega characters are explained in passing, there’s a eulogy for another, and the entire background to the series is explained in an extemporised folk song. Yes, honestly. And that’s not even the second most bizarre element of the eighth chapter. As much as anything the first Omega was about how people relate to each other, and that theme is continued, adding a look at the autism scale. By amateur standards at least, so many of the cast have a dysfunctional relationship with the larger world. For some this occurs due to a literally robotic personality, a story undertone, while others have to deal with the way they perceive the world, and the way the world perceives them. It’s an interesting extrapolation of Gerber and Skrenes’ original ideas, as is so much else. An audacious, almost wordless concluding chapter is entirely in keeping with the series, bizarre, compelling and downbeat, with Dalrymple shining. 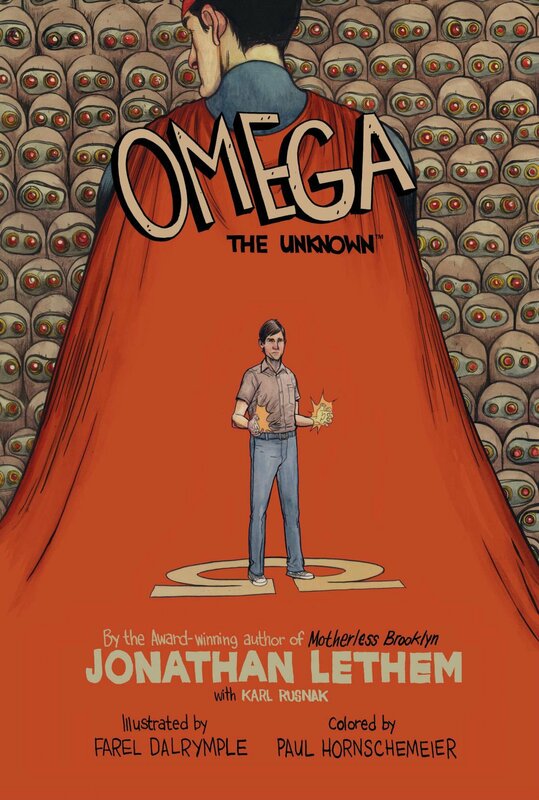 Critical acclaim was rightfully poured on this version of Omega the Unknown, but an indication of sales for a decidedly individual vision is indicated by the serialisation only ever followed by a hardcover collection. It’s tragic. The original Omega the Unknown was compromised, but this is accessible, endlessly imaginative and visionary.